An estimated 500,000 letters are lost in the post each week in the UK. Of these, 400,000 never arrive, and 100,000 will be over two weeks late. If you’re sending anything important, it’s therefore vital you make sure it’s protected. The most common way to protect your post is to acquire a certificate of postage. This practice has been standard for powersellers of websites like eBay for many years, with proof of postage compulsory when defending a claim for a lost parcel. As a seller, lacking proof of postage means you are responsible for any resulting refunds. Depending on the item sold, this could be very expensive. If, on the other hand, you have proof of postage, then you can claim compensation from the Post Office. “Proof of postage is pretty worthless to both consumers and retailers; although often asked for, it can be confused with proof of delivery, a much more valuable service. It’s the retailers responsibility to get their item to their customer and all proof of postage can be used for is a claim against a courier if the item doesn’t arrive. Proof of delivery however has many more uses and is generally something consumers like; not so much that they need to be told that their item has arrived, but more that they can track their purchase along its journey and know when to expect it. However times are changing and some retailers are falling behind the curve. Royal Mail is due to add bar codes to all parcels within the UK later this year. This will enable them to scan at the point of delivery and raises the question, ‘do retailers actually need a signature for proof of delivery or is a scan at the door step acceptable?’ Of course sometimes, due to the item value, you may require a signature. Typically when receiving a high value item, a signature is customary and many payment providers, including the best known in the UK – PayPal, insist on proof of delivery including a signature. There are new services coming to the market which make signature on delivery even less neccessary. Services such as locker locations (e.g. 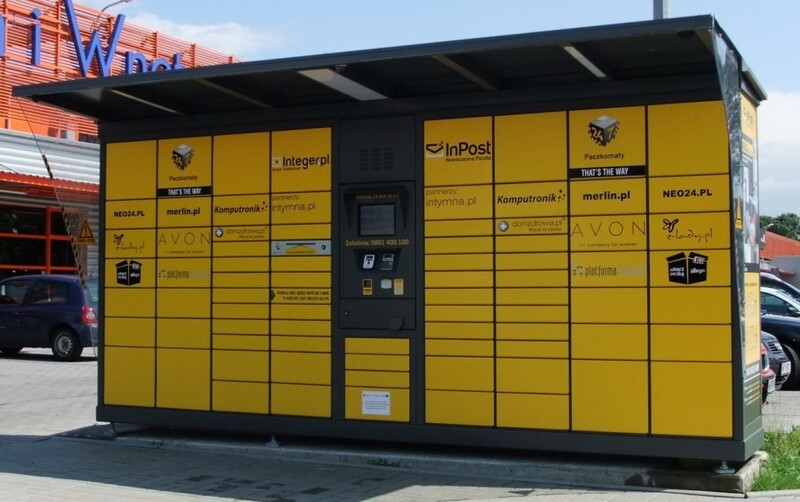 InPost.co.uk), home delivery bins (e.g. Pelipod.com) or click and collect locations (e.g. Doddle.it) all create debate. If the item is to be delivered to a convenient location for collection (and often this will be a consumer driven choice which even the retailer may be unaware of), insisting on a signature from the recipient may cause complications in the delivery process whereas a scan would work perfectly. “I once sent some work to the Ukraine – just before the issues with Russia really escalated – and I had made sure that I had proof of postage, as sending prints to Europe can cost quite a fair whack. A few weeks had passed and I hadn’t heard anything from the customer, so I threw out the proof of postage receipt to declutter my work space a bit, assuming they had received the package okay (I’d sent it first class). It was a day or two later that I received an email claiming the parcel hadn’t arrived. I suddenly had no proof of postage or delivery to back up my claim and I had to refund the customer in full. Depending on who you are posting with, the process involved for proof of delivery will vary slightly. 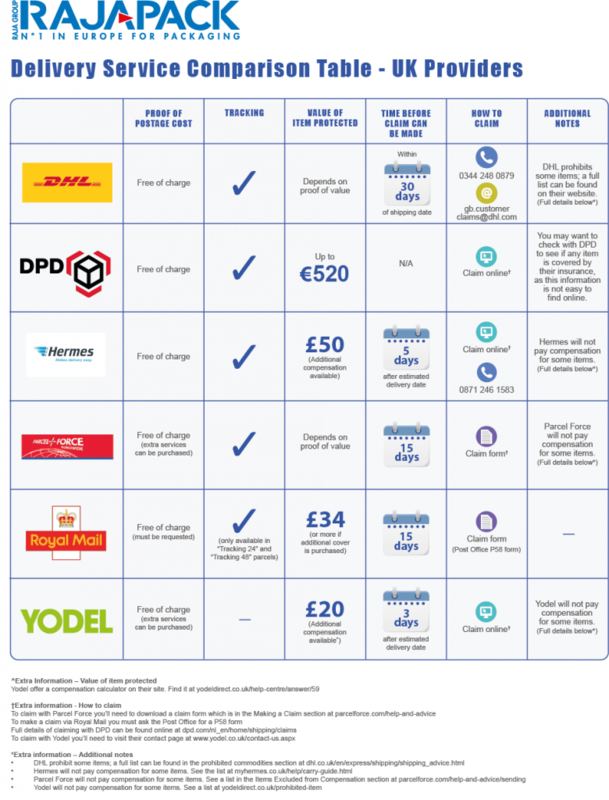 We have worked up a useful delivery service comparison table which you can use to see the most frequently-used parcel carriers and their proof of delivery policies – as well as how to claim compensation if your parcel goes missing. Yodel protect the item with £20 additional compensation available. There is a calculator on their site here. With Yodel & Parcel Force, its best practice to send them pictures of the package before it was sent. To make a claim with Parcel Force, you’ll need to download a claim form from their website here. When sending the claim forms back, make sure you include proof of the items value, such as a receipt. It also helps if you have pictures of the parcel before it is sent as proof of proper packing. To make a claim via Royal Mail you must ask the Post Office for a P58 form. 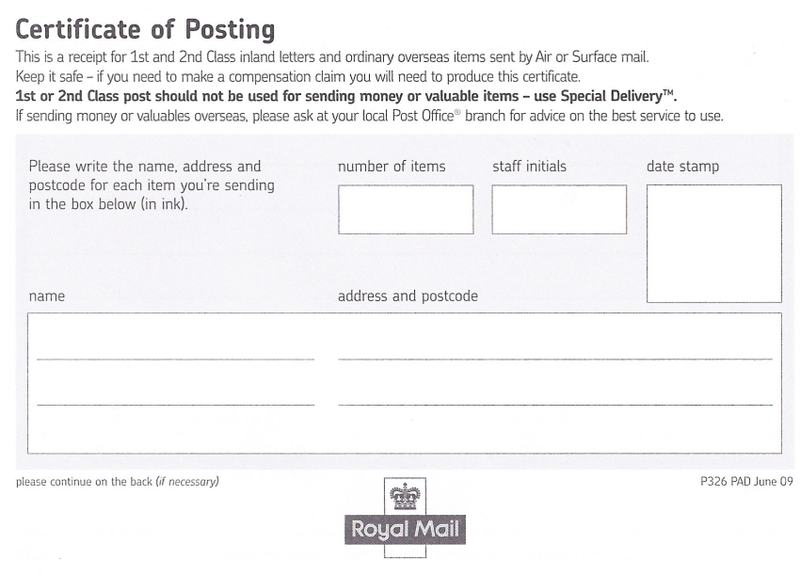 This form must be accompanied by the original proof of postage and, once posted, can take 6 to 8 weeks to be processed. To claim via Yodel you’ll need to visit their contact us page which can be found here. Claiming with DPD is quite a thorough process – full details of which can be found here. DHL prohibit some items; a full list can be found here. Hermes will not pay compensation for some items. See a list here. Parcel Force will not pay compensation for some items. See a list here. Yodel will not pay compensation for some items. See a list here. Proof of delivery is a must these days – especially if you run a business. However, what’s on offer, and which courier would be best for you, all depend on what you are posting. Most commonly posted parcels will be fine with Royal Mail; however they will only protect an item up to the value of £34 –unless you pay for extra services. Larger or more valuable items may be better sent with a private courier who offers a higher level of cover. These companies often offer larger levels of cover and compensation, but they can also cost a little extra. Whichever you choose, it’s important to be properly covered. This entry was posted in Packaging Industry News and tagged business, delivery, packaging, postage costs, rajapack, royal mail, security, shipping costs on September 28, 2015 by Rajapack. The RAJA Group began life in 1954 as a company selling recycled cardboard boxes, and our focus on being environmentally responsible has continued to this day. Ensuring your company is environmentally responsible not only benefits the planet, but it’s important to your customers too. Even if it isn’t currently a priority for your business, you can be sure it is for your customers, who’ll factor it in when choosing their supplier. We’ve been speaking with experts in the packaging industry (such as John Kirkby), and we’ve learnt that understanding which materials can be recycled is one of the first challenges that companies face when trying to be more environmentally responsible. To help you better understand what can be recycled and where to recycle it, we’ve listed the most common recycling symbols below with guidance and examples, which should help you and your business on your first steps to going green. 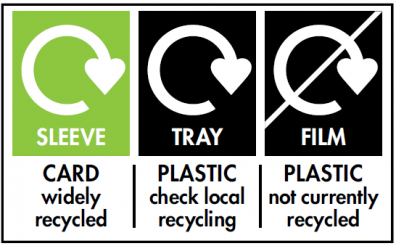 The ‘Please recycle now’ symbol is a call to action; it says that the environment will be harmed if this product has to be destroyed or left in landfill, as per normal disposal. This symbol is not informative, but encourages the user to recycle. 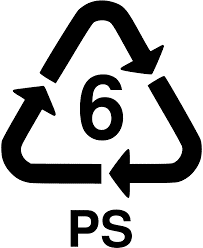 Similar to the ‘Please recycle now’ symbol, the Mobius Loopis an alert to the user that this product can be recycled, rather than offering any specific information. The symbol was created in the late 1970’s by American Gary Anderson, and is now universally recognised as the generic symbol for recycling. When a pack has more than one form of material. Products such as microwaveable meals and packaging with built in protection require different materials for transit and end use. Some of these materials may be recycleable and others aren’t. 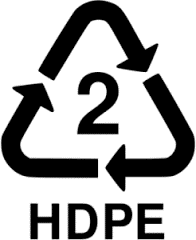 A symbol such as this one (pictured left) informs the user which materials can be recycled, and that they need to separated before recycling. If your product has this symbol, it needs to be recycled with other glass. Some councils and recycling services will provide a container that sits inside your recycling bin in order for you to recycle glass. If this doesn’t apply to your area, products with this symbol should be taken and sorted into bottle banks. The following symbols are commonly found on bottles containing drinks, soaps and shampoos as well as food packaging. They’re usually located on the label alongside the instructions for use. This symbol means the product is made from Polyethylene Terephalate. It is a very common form of plastic which is used to contain products such as fizzy drinks, cooking oils and water. Products with this symbol can be recycled in recycling bins. 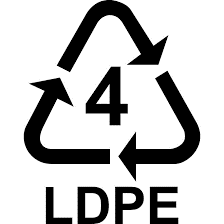 This symbol means the product is made from High Density Polyethylene. HDPE is commonly used for milk bottles, washing up liquids and shower gels. Again, this plastic can be placed in most recycling bins. Polyvinyl Chloride is a form of plastic which is no longer very common. Products with this symbol on can still be recycled in most recycling bins, but don’t expect to find too many bottles made of this material. Low Density Polyeythlene plastic is commonly used to wrap meat or vegetables. 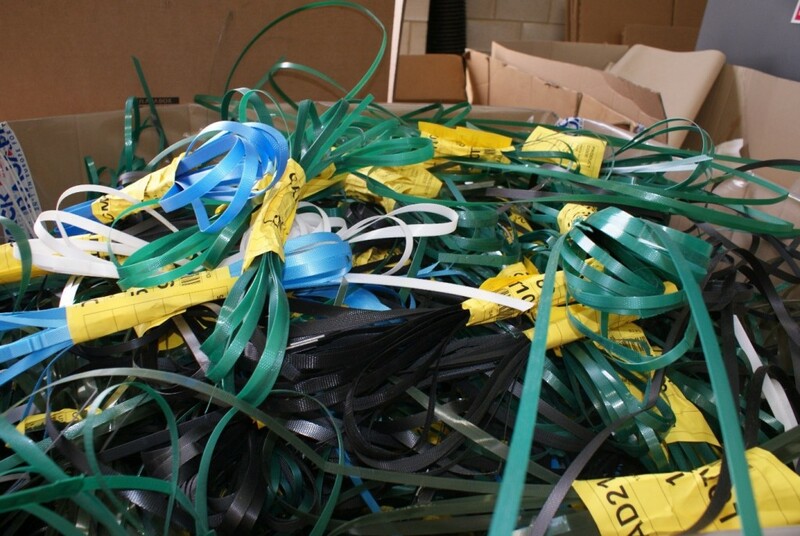 Because of the mixture of materials and chance for contamination, these plastics are not widely recycled. They should be disposed of in general waste containers. Polypropylene plastic is often used in the food industry and like LDPE, is not widely recycled in the UK. Products with this symbol should be deposited in general waste containers. Polystyrene is most commonly used as protection or loose fill for products in transit. This form of plastic is rarely recyclable in the UK and should be placed in general waste. Other materials includes all other resins and multi-material plastics. 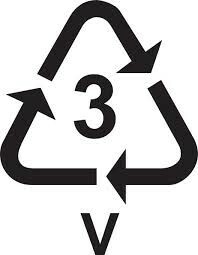 Because of the use of different materials, plastics with this symbol on should be placed in general waste. This symbol indicates a product is made from aluminium. Although most aluminium, including cans and foil is recyclable, please remember the following: 1) do not recycle if it has been contaminated by food produce and 2) Some recycling plants are not equipped to recycle foil. Please check with your local council before recycling. Although not technically a recycling symbol, the compostable symbol is important nonetheless. 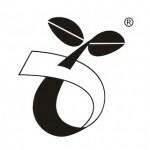 If a product has this symbol on it, it means that not only will the item biodegrade but it will also offer nutrients and benefits to the soil around it. If you have any doubts about whether or not you can recycle a product, it is always best to check the recycling and reuse guide of your local council; you can find the contact details for your council online. 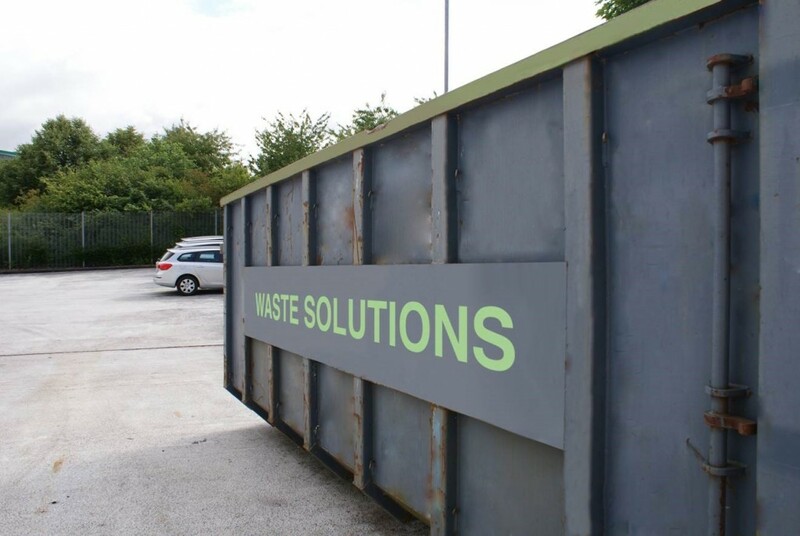 Some councils will have better facilities and processes than others and are therefore able to recycle different materials. If you have any questions about our commitment to the environment, please get in touch with one of our expert team on 0800 542 44 28, or take a look at our environmental policy. We also have a large range of eco-friendly packaging products available to buy on our website. This entry was posted in Packaging Products & Materials and tagged business, Eco-friendly, Environmental packaging, packaging on September 25, 2015 by Rajapack. We’ll see you at Ecommerce Expo! For two days starting on Wednesday 30th September, Rajapack will be exhibiting at Ecommerce Expo at Olympia in London and we’re looking forward to seeing you there. The Expo gives companies in sectors such as retail, packaging and delivery a chance to engage with their customers as well as an opportunity to showcase some of their latest product offerings. Rajapack will be one of nearly 150 exhibitors at the show, including online retail giants Amazon, secure payments solutions provider WorldPay and delivery powerhouse, Parcelforce. Those attending the conference will also get the chance to attend seminars with key industry insights on payments, marketing, customers and international sales. This year, our team will be stationed in Olympia’s West Hall, stand 114. We’re sending along our brand new Head of Field Sales, Simon Owens whose previous roles include working at Sky Business, and none other than our own MD, Tom Rodda. The team will be on hand to answer your questions, covering everything from improving efficiency in your packaging process, right through to how you can help your business go green by adopting environmentally friendly packaging. It’ll also be a great opportunity for you to learn about our brand new Rajaprint bags, a fantastic way to customise gift and reusable bags and strengthen your brand. We’re also really excited to be showcasing our Mini Pak’r machine which provides air-cushioned void fill, to speed up the operation of small businesses. You can still register to attend the Ecommerce Expo. For more information on the event, follow the Ecommerce Expo on twitter @ecommerceexpo (using the hashtag #ece15) or contact the Rajapack team on 0800 542 44 28. This entry was posted in Packaging Industry News on September 21, 2015 by Rajapack. Rajapack are proud to introduce our brand new online carrier bag customisation system, Rajaprint Bags – an extension of our popular Rajaprint custom packaging tape system. We have extended this to bags allowing you to design and order custom bags online in just a few clicks. With Rajaprint Bags you can attach your branding to more transit packaging, allowing your business to be seen by more potential customers. It’s a great way to strengthen your brand and improve the look and feel of your product right from the start of the customer experience. With 5p charges soon to be introduced on many plastic bags, now is an ideal time to explore other options for bagging that could save you money while improving the impact of your brand. The Rajaprint bags system gives you the opportunity to choose your bags based on material, size, strength, colour options and the size of the print you require. In total, there are a massive 132 different combinations to choose from, ensuring that you can find something that fits in with the look and feel of your business. Matt finish laminated gift bags are available in white, pink, cream, silver and black, with 5 different size options. Kraft paper carrier bags are offered in 2 colours (white and brown), each with a different handle. The range is completed with canvas and jute shopping bags, each with 4 different print options. After choosing your bag, you can upload your company logo to complete the process in just a few clicks. Your logo will add standout against any design, whilst high quality Rajapack bags will ensure your product arrives in excellent condition. We’re offering an unbeatable special offer for the launch of this exciting new online system. Up to 40% off 1 or 2 colour, 1-sided printing on brown and white kraft paper carrier bags, when you order 10 packs (1,000 bags) or more. We’re also offering a special ‘buy your printed bags for the price of plain’ deal on matt finish laminated bags when you order 40 packs (1000 bags) or more. That means a fantastic half-price saving. If you want more information on how the Rajaprint bags can improve your packaging and strengthen your brand, you can call our Packaging Specialists today on 0800 630 06 21. This entry was posted in Packaging Industry News on September 16, 2015 by Rajapack. Ever wondered how they put the stretch into stretch film? Following our April Fools InfusionWrap™ launch, we investigated how bubble wrap stays so strong under pressure yet is so easy to pop after use, and delved deeper into exactly how bubble wrap is made. We had so much fun that we wanted to do the same, but for stretch film. The laws of physics suggest that a material becomes weaker when stretched, so how does stretch film manage to remain durable and strong even when stretched to around 500% its standard size? It’s a product used in retail, shipping, deliveries, transport and now increasingly in airports, where people are shrink-wrapping their suitcases when they fly abroad to prevent damage or theft. Across all industries, shrink wrapping helps to prevent tears and damage to materials and keeps items secure in one place; it helps to protect products and save on space and material. 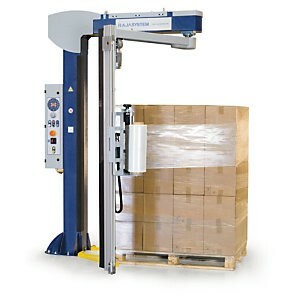 Stretch film is usually used to secure large or heavy loads on transit pallets. Like bubble wrap, the film stays durable and strong under pressure. The resemblances between the two packaging products stem from a similar manufacturing process for both. Both bubble wrap and stretch film are manufactured from polyethylene and involve a system of melting and cooling. The difference between the two, and the reason why stretch film has stretch properties, is through the use of higher alpha-olefins, which are chemical compounds with a higher reactivity rate. This chemical process gives slack to the material which means it can stretch, but interestingly also makes it puncture resistant. Some stretch film can stretch to around 500% of its normal size, although most packaging requires only 100-300% stretch. On many occasions, stretch film is mistaken for shrink wrap because they can look very similar. However, apart from both being manufactured from plastic resin via the blown process, they aren’t similar at all. The properties that make the shrink wrap ‘shrink’ are frozen into the plastic during manufacture and can only be activated by a heat source. When the right amount of heat is applied to the wrap it moves towards melting point which makes it contract and ‘shrink’. 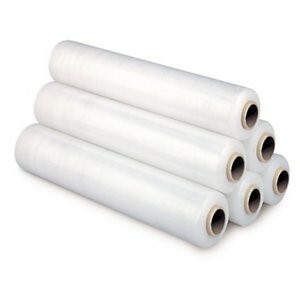 Shrink wrap is made from low density polyethylene which doesn’t have the tear resistance or holding force that stretch film has. The first method creates Blown stretch film, the more durable and high quality form. The longer cooling process of blown stretch film allows the bonds in the plastic to spread out more, making it more durable. In this method, the polyethylene resin is heated until it melts and then pulled through an annular die. This puts pressure on the resin and turns it into a sheet. The sheet is then cooled to form what we would recognize as stretch film. The second form of manufacture creates Cast stretch film which is not as high quality as blown, but is cheaper and quicker to manufacture. Because of the quicker cooling time, the chemical bonds spread into individual lines rather than evenly across the film. It still goes through a similar process of melting resin being put through a die, but with this method the resin is passed through a slot die before it then moves over moving over cooling rollers, as opposed to being given the time to cool naturally at room temperature. Stretch film is an important part of any efficient packaging operation; its versatility and durability make it ideal for both large and heavy items, as well as small and awkward ones. Stretch film is ideal for protecting parts of products, keeping items clean from dust and dirt and for securing difficult shapes. It can also be designed in different colours, which can help strengthen a business’ brand impact. Stretch film is a cost effective and simple way to package. Rajapack’s own range of stretch film includes coloured film, dispensers, mini stretch film, cast film and blown film. If you want to know more about the different uses of stretch film for your warehouse or packaging operation, call us today on 0800 542 44 28. This entry was posted in Packaging Products & Materials and tagged infusionwrap, packaging, rajapack, Shrink wrap, Stretch Film on September 11, 2015 by Rajapack. 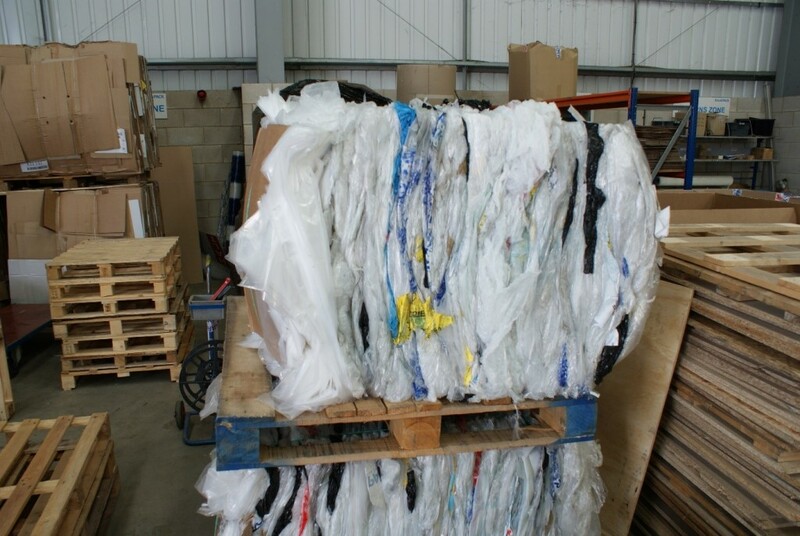 Cutting down packaging waste should be a key priority for anyone who works in a warehouse, whether that be administration staff, managers or those on the warehouse floor. Waste of materials is not only bad for the environment and profit margins, but also creates health and safety concerns. We work with businesses who face this challenge on a day to day basis. They’re looking at ways of making their operation more efficient, such as using different types of recyclable packaging materials and making their ordering processes more efficient. By cutting waste, you can save money and time, and make your business more efficient. More and more customers are only buying from companies who have ‘green’ credentials. Waste that isn’t disposed of properly can be harmful to the environment. Minimise days lost due to health and safety accidents and, look after your employees. Recyclable packaging is much better for the environment than non-recyclable packaging, but they still require processing and piles of recyclable products might be left lying around for long periods of time. Reusing materials for different purposes, such as using left-over cardboard boxes to house office equipment, helps to reduce waste and prevent the unnecessary purchase of products. 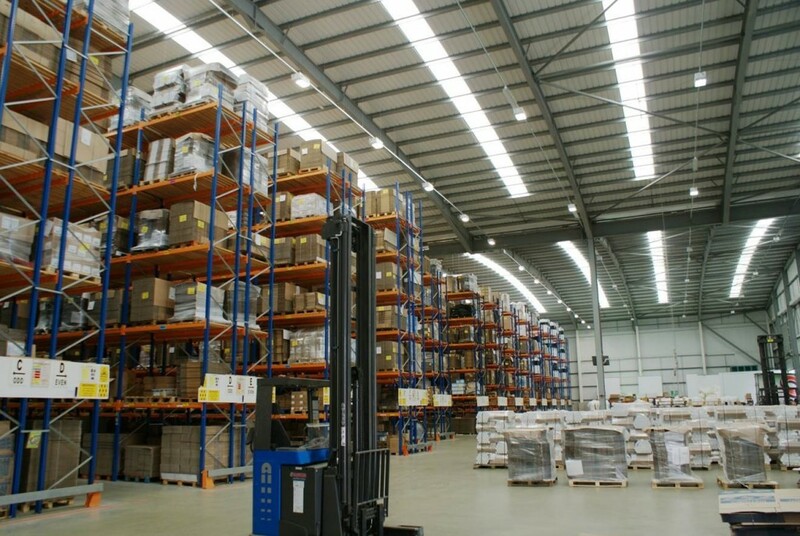 A lot of warehouse packaging waste is as a result of materials not being fit for purpose. Waste can occur when a product has been packaged in the incorrect material or incorrect sized packaging product. Companies such as Rajapack offer customers expert advice about the most appropriate types of packaging to use. On many occasions, waste is created or not disposed of properly because employees don’t know the processes that have been put in place. This could mean that administrative staff aren’t properly communicating with the warehouse operatives or it could be that staff haven’t been given the appropriate training. If you think you have the processes in place, make sure that your colleagues and employees are all reading from the same page. You can enrol your employees on specialist courses such as this one, from UCLAN. How many times you receive a parcel at home where the packaging seems to be ten times bigger than required for the item inside. Sometimes, this is a necessity as a smaller box won’t properly protect the item however, on other occasions the wrong box or wrong loose fill has been used. Some loose fill packaging is more appropriate for certain types of item than others. Using the correct type of loose fill will better protect your product and help you to use the appropriate type of material. It may sound like common sense, but it is surprising how many companies only have daily collections of waste when 3 or 4 times a day would be more appropriate to create a safe working environment for your employees. Waste can build up throughout the day and it is can become a health hazard if it isn’t removed on a regular basis. If removing waste material on a regular basis is becoming too time consuming, find out if there are any local charities or community projects who can use the left over material. Organisations such as animal shelters and kids clubs are often on the lookout for materials such as cardboard and may be willing to come and collect it from your organisation themselves. 7) Clearly mark packaging with pressure and weight limits. Giving proper guidance to staff about the amount of weight and pressure packaging can take will ensure less damaged packaging and less waste. It may be the case that the strength of box being used can actually hold more products or an employee could use a smaller box for an item. When transporting products around the warehouse, you may be able to save packaging and energy by securing them together using stretch film rather than packing them in large boxes. Stretch film is easier to fit in bins and recycling containers. 9) Reward employees who are waste conscious. Even if you or your staff don’t think that much about your carbon footprint or how environmentally responsible you’re being, your customers do. Rewarding your employees for their eco-friendly efforts in your warehouse should be the same as giving shop floor workers reward for great customer service. They are going the extra mile to help your company, so reward them and encourage others to do the same. Waste champions will help to ensure that all colleagues are energized and enthusiastic about reducing waste in the warehouse. It will also give an individual an added sense of responsibility and job satisfaction. Cutting down waste in the warehouse will help you save money and the environment, as well as creating happy customers and employees. If you want more information from Rajapack about how make your packaging more efficient and eco-responsible, you can call our expert team now on 0800 542 4428 or take a look round our range of environmentally friendly packaging solutions online. This entry was posted in Packaging Products & Materials and tagged business, packaging, rajapack, Recycling, warehouse, waste, waste management on September 4, 2015 by Rajapack. September marks the launch of Rajapack UK’s new 312-page packaging catalogue. Inside will be over 280 brand new packaging solutions to ensure your products reach your customers safely, plus we’ll be including eco-friendly packaging alternatives to help your clients answer their customers’ growing demands for environmentally responsible packaging. The catalogue is being delivered right now, so expect yours in the post any day. If you haven’t ordered from us before, click the banner below to request your free copy. Along with fresh packaging ideas, the new catalogue also focuses on the belief that ‘Together we can change lives’. Built on two of Rajapack’s core values: environmental responsibility and supporting charitable causes, we’re launching an action programme for Women & the Environment. By simply ordering from a selection of 12 eco-friendly products, our customers can help women across the globe. For every one of these products bought between September and February 2016, we’ll donate up to £3 to help fund five community projects around the world. These projects help women living in countries such as Cuba, Togo, Mozambique, Myanmar and India, to grow their own produce and build better lives for themselves and their families. As you order at rajapack.co.uk, you’ll see a running total of money raised, and the difference your order will make to women around the world. You’ll find full details about this great Women & the Environment project in the new catalogue and on rajapack.co.uk, plus we’ll be publishing information and videos right here on the blog. With eco-friendly packaging fast becoming a key factor for your customers, over the coming months we’ll be posting a number of useful articles highlighting the best ways for your business to be environmentally responsible. If you have any questions about any of the above, please give us a call on 0800 542 44 28. This entry was posted in Charity Work and tagged business, cardboard, charity, design, fundraising, packaging, Raja Group, rajapack, Recycling, women and the environment on September 1, 2015 by Rajapack.